Wednesday night was painful for all Chelsea supporters. The Blues had just come from a two-game winning streak after a dreadful encounter with Arsenal. Maurizio Sarri questioned the team’s mentality when facing top opponents and his criticism worked. It worked for two games at least. 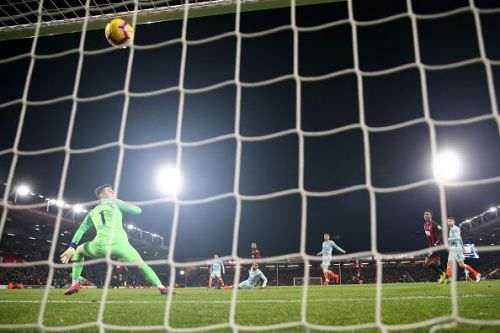 Bournemouth thrashed the Blues 4 goals to nil, stifling the FA cup defender's hold on the top four spots. Chelsea are now level with Arsenal on points and only two points ahead of a resurgent Manchester United team. It seems that as the season progresses, Sarri’s team is becoming more vulnerable in the Premier League. The arrival of a new manager is always met with mixed reactions and at the bridge and this was no exception. Conte left having won the English Premier League and the FA Cup in his two seasons. However, during that tenure, Chelsea was criticized for being too defensive and rumors of players being mentally and physically exhausted by Conte's training drills spread. Sarri has had an impressive record with Napoli, so he was an ideal replacement given the kind of football he encourages his squad to play. The new manager's introduction of Jorginho in the heart of the team's midfield proved to be a tactical genius at first. Maurizio was cruising past his opponents and challenging for the title was part of the club's agenda. The style of play dubbed Sari-ball brought new dynamics to the team and saw roles change. By setting up Jorginho as a defensive midfielder, Kante was given a much-advanced role as in the midfield. The likes of Victor Moses and Danny Drinkwater suddenly became surplus to the team. Players had to retain the ball while at the same time maintain a high line up the pitch. Looking at Chelsea now, their game revolves around passing, a form of tiki-taka. The issue is that most of the passes are sideways and within the same spot; too many passes with nothing to show for. Nothing creative happens in the final third, just more passes but no urgency to get into the opponent's box and cause havoc. The manager needs to shift things around; the addition of Higuaín will not solve scoring problems upfront if the manager doesn’t tweak something in his system.